July 16, 2015 ~ Sara W.
As previously mentioned, our family is in the process of moving. I spent three hours last night trying to pack and clean my kitchen. I felt like I should have had more boxes to show for it, after all the work I put into it. Speaking of work, I experienced firsthand the blessings of working to combat worry, as mentioned in It’s Time for Work. I learned that my mind couldn’t even contemplate complex ideas, as it was already preoccupied with playing high-stakes Tetris, where each box had an ultimate goal of being perfectly packed. I’ve resolved that the lack of boxes was due to my expert level Tetris skills. I digress. Can you even digress when you’ve only begun? I wanted to talk about packing kitchens, but not as it pertains to Tetris. Let’s move on, shall we? I guess you can have some additional thoughts, beyond the task at hand, when you’re working. Because I started to get nostalgic over the menial task of packing a kitchen. I realized that packing a kitchen has sentimental value to me. I began to recall all the kitchens I had packed and unpacked in my adult life. The kitchen was my most dreaded packing task and, I confess, I left it for last. I left it for last because I knew my mom would come in and handle it. Because that’s what mom’s do, right? At least, that’s what my mom did. I have never been good in the kitchen even when it’s in working order. So, it makes sense that I’m not much of a kitchen person when it comes to packing either. 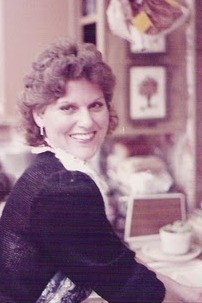 My mom, however, was a kitchen packer, and a darn good one at that. My Mom was the official dishwasher at my Nana’s Christmas parties. But then my kitchen packer, and best friend, passed away. Even more tough is that she passed away in the home where we lived together, along with my husband and daughter. So, while she was there for the unpacking and placement of our kitchen, she was not there when it was time to move on. She may have been there in Spirit, but she certainly wasn’t pulling her weight in the matter of kitchen packing. Wasn’t she aware that I still needed her? I’m making light of it here, but the thought that struck me last night was that we take for granted the simple things that make a difference in someone’s life. I wonder if I ever properly thanked my mom for packing the kitchen that was inevitably left for her to handle? I can’t say that I remember who helped me pack that first move without my mom. I admit that I have very little recollection of the first six months after her passing. My only guess is that I was placed on some sort of auto-pilot setting for my protection. Unless there is a picture or video of an event to show for the Spring of 2008-Winter of 2008, it’s lost in the database that is my brain. It’s difficult to think of that, as that also happens to be the first 6 months, or so, of my daughter’s life. But, that’s all for another post on another day. Continuing on with the exciting topic of kitchen packing, I take you now to the second move without my mom around. It was December of 2009 and we were moving into our very own condo. The only problem is that I had recently had my tonsils removed, then during the recovery of the tonsillectomy, I threw out my back so badly that I had to be taken by ambulance to the ER. Again, a fascinating story for another day. So, with this move, I had to rely virtually 100% on the help of others. I think I had 5 women from church come and pack up my kitchen. I remember feeling both helpless and grateful for their kindness and service. On this particular move, the unpacking had as much meaning to me as the packing did. As my Nana, my maternal grandmother, helped me unpack my kitchen, while my grandfather and Aunt painted my girls’ bedroom. It was particularly special to me, as my grandparents weren’t customarily hands on when it came to my personal life. They were always loving and supportive, but my relationship was largely based on my family visiting them. So, this service from my Nana has always been dear to my heart. It is the only time I recall working side by side with my grandmother. It made me feel closer to her, and, strangely, my late mother as well. About three years later, it was time to pack up that same kitchen. I had lots of help from friends and family this time, but I mostly remember my sister-in-law’s presence. She was astonished at the lack of packing I had done thus far for my upcoming out-of-state-move. Oops. She gave me a firm, but loving, reprimand of, “EVERYTHING goes in a box.” I can’t be certain how many times I heard that line that evening, but I will never forget it. As simple as it sounds, that really is the best packing advice I have ever been given. It makes for the easiest loading and unloading process you can imagine. Now, we’ve come back full circle to this move. Here I am, again, packing up a kitchen. I haven’t left it for last, because my mom will not show up and handle it, as she always did. Though, if it worked that way, I would gladly halt all of my packing efforts this very instant. No, this time the packing has alternated between my husband and I, as the other often has the task of keeping the kiddos occupied. And, as I spent those three hours packing alone last night, I couldn’t help but be filled with sadness over the loss of my mom and gratitude for all the people who have given service in her place over the many years now. It’s not just about the packing and unpacking of the kitchen, it’s about the gratitude I have for being a recipient of countless acts of service. I feel like sometimes we shortchange ourselves on the impact that we make in another person’s life by serving them. I’m certain that the women who have helped me pack or unpack my kitchen are completely unaware of the significance that their act of service had on my life. I’ve heard it said that you can never replace your mother. I know it to be true. But, what I’ve also learned is that it’s something pretty beautiful when multiple people step in and help where a mother might have before. I’m talking about the women in my life, old and young, who have been a sounding board, who have helped with my kids, who have offered a compliment when I felt like I was utterly defeated in my role as a mother, the list goes on and on. I suppose I should not be gender specific, as I have also had many men, my father included, serve our family in numerous ways. It just happens that I tend to be surrounded by more women in my role as an at-home mom, and have been lovingly served by those same women. I realize this post is probably self-serving, which is ironic based on the message I’m trying to convey, but I just felt like sending out a general “thank you” into the universe. Thank you for all of the service that my family has received through the years. And thank you, whoever is reading, for every little act of kindness you have done in your own life. I thank you, on behalf of every recipient of your kind deeds, and tell you that your service has made an impact for good, even if it did not seem appreciated. Sadly, some people are not mindful of the blessings they’ve received through the hands of another. May I never fall into that category. May people always know of my gratitude, from something as simple as a text offering packing supplies to something as wonderful as Tupperware being returned with a $20 gift card inside to your kids favorite fast food, which I might add both happened today. Even cooler, I didn’t need to get the packing supplies offered from one person, because I had already been given more than enough packing materials from another kind friend. These good deeds do not go unnoticed in my world. May you be blessed with the ability to see all the acts of kindness that have been done on your behalf. And, when possible, take the time to share your gratitude. When you’re done doing that, go out and be the good you want to see in the world! 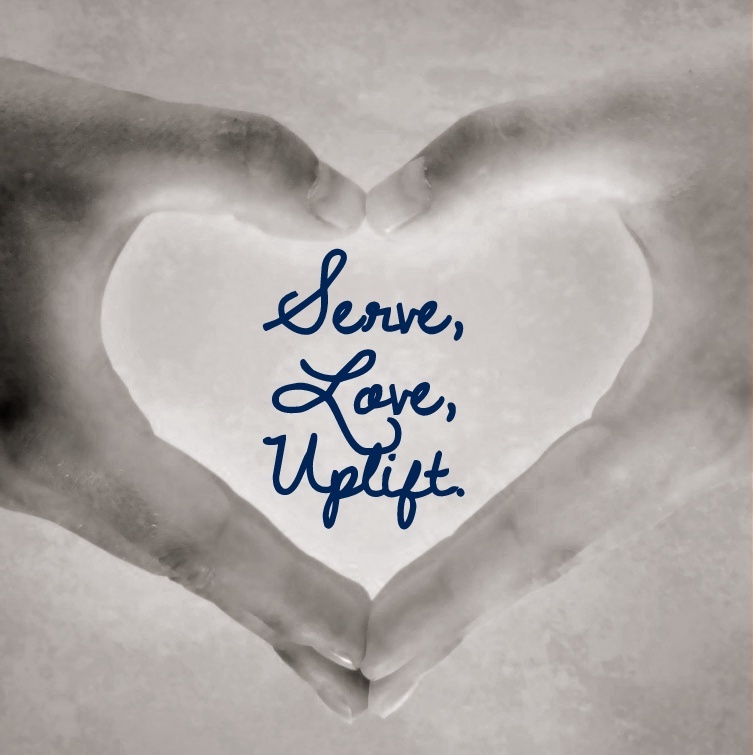 Serve, love, and uplift! That’s what this whole scatter-brained post is about! It’s about the overwhelming gratitude I have for the people who have served, loved, and uplifted me; and the motivation it gives me to go out and do the same! < Previous It’s Time for Work! Love this — I too have been the recipient of service while moving. As a young mother, I helped a lot. . . but now, it seems as though my opportunities are limited (except to my children who are young parents!). Great reminder.